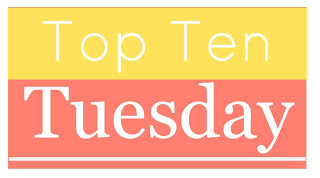 So, for this TTT, I tried really hard to stick to stand alone books that I wanted more out of. I could have gone on and on about series that I wanted to continue, so this made this a little bit more challenging and–I think–a little more true to the spirit of the topic. So here we go, in no particular order! Blog Tour: “The Cadet of Tildor” by Alex Lidell – Review + Giveaway! Welcome to the blog tour for The Cadet of Tildor by Alex Lidell! There’s a giveaway in here somewhere, but first! My GLOWING review! There is a new king on the throne of Tildor. Currents of political unrest sweep the country as two warring crime families seek power, angling to exploit the young Crown’s inexperience. At the Academy of Tildor, the training ground for elite soldiers, Cadet Renee de Winter struggles to keep up with her male peers. But when her mentor, a notorious commander recalled from active duty to teach at the Academy, is kidnapped to fight in illegal gladiator games, Renee and her best friend Alec find themselves thrust into a world rife with crime, sorting through a maze of political intrigue, and struggling to resolve what they want, what is legal, and what is right. This tour is hosted by A Tale of Many Reviews. Make sure you check out the rest of the tour HERE. Thanks to AToMR and Alex Lidell! This title will be available January 10th, 2013. There are moments, when you finish a book, that you just go, “Yes.” You put down your book or ereader and just sit there for a few minutes because YES. Especially lately, for me, when all my blog reading has been rushed and not entirely enjoyable. THIS IS WHY I LOVE BLOGGING, books like this. 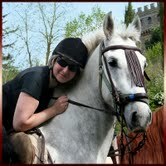 I will say right from the get-go that I am a HUGE Tamora Pierce fan. She basically structured my childhood. One of my favorites was her series The Protector of the Small. The main character, Kel, and Renee would be GREAT AND AWESOME FRIENDS. If you loved The Protector of the Small series, stop reading this review right here and just go pre-order this book. Seriously. I’m not kidding. Renee de Winter is my kind of girl. When the book opens up, she is given an ultimatum by her father: either be a real girl, or she’s banished from the house. Like she should, Renee chooses to go back to the life of a soldier–even though she is falling behind the rest of her male peers. Renee is shorter and weaker then all her male peers, simply because she doesn’t have the body mass she does. She believes that her salvation will come when the legedary Commander Savoy comes to teach the cadets, thinking that his methods will help her learn how to be better than the boys. But then, of course, there is kidnapping and treason and her simple task of trying to stay in the cadets so she doesn’t get thrown out on the street with nowhere to go gets WORSE. I am honestly shocked on how well this book handles a wide range of settings and characters. I usually don’t like large character casts, but somehow this manages to keep all the characters in my brain. Sure, plenty of them aren’t fleshed out too much, but unlike some other books this doesn’t bother me. Each character seems to have the perfect amount of focus for their role in the story. (Except for Alec. But I think I just don’t LIKE Alec.) This book also definitely gets around, but I’m always really connected to where I am at the time. I usually jump on books for doing both these things poorly, but…I can’t believe I get to say someone’s done it well. The plot is also very involved. It’s very political, and each action has a reaction on a very large scale. But, somehow, each action is also very personal, and each step makes sense. I wish I could expand on that, but then they’re would be spoilers and I can’t have that. Let me just say that Renee is affecting politics on a global scale while simply protecting her friends, and it’s amazing how it works out. Everything fits together seemlessly to create a personal story within a complicated political sphere–which, even better, always made sense to me. As I said, more characters than not weren’t fleshed out, but the main characters–Renee, Savoy, Diam, for example–made me very happy. Obviously I’m predisposed to like Renee, but the character arc for Savoy also made me very happy. Once my intial dislike of a character is cemented, it takes very good reasons for me to like them again. Lidell gave me good reasons. For everything. Even the things I disliked in the beginning. One weird thing was that he had more flaws then it seemed Renee did, but I’ll let that slide. Romance was entirely NOT a factor of this novel, but I actually found myself wishing for it. Yes, me. Pretty sure pigs are about to fly. I’ll leave it at that. It’s always harder to write a review on books you liked rather than the ones you disliked, but this is my attempt. My one most horrible thing to say is that Goodreads doesn’t have a series tag for this book and I just KNOW there has to be another one because OHMYGOD THERE HAS TO BE ANOTHER ONE. I will most certainly be owning it, and giving them the special place on my top shelf next to my Protector of the Small books. Enter HERE if you’re interested! Book Trailer Reveal: “The Cadet of Tildor” by Alex Lidell + Giveaway! HEY GUYS! I’m trying something new here at My Life is a Notebook. That’s right, I’ve got my first ever BOOK TRAILER reveal! 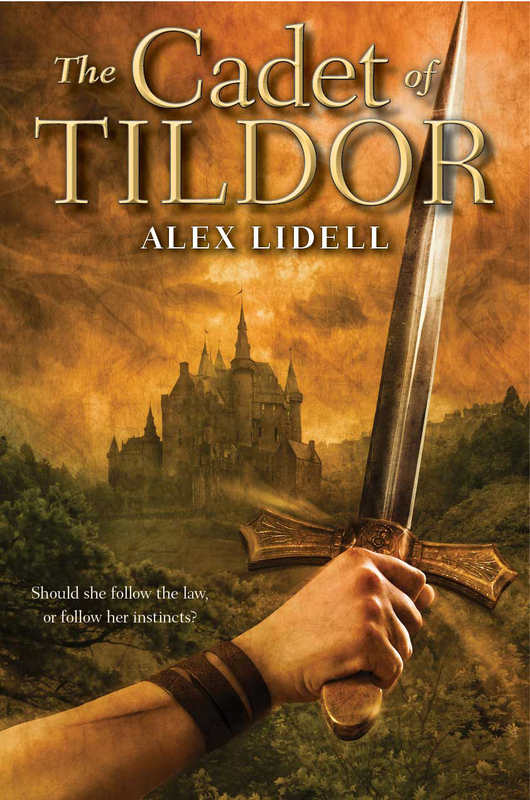 You may remember that a while ago I had a cover reveal for a book called The Cadet of Tildor by Alex Lidell. (If you don’t remember, check that out HERE.) Well, I hope that got you excited for this book. If it didn’t, here’s another reason why! FOR THE MOMENT YOU’VE ALL BEEN WAITING FOR! AND LET’S NOT FORGET THE GIVEAWAY! It’s for an ARC PLUS a custom made bracelet! ENTER NOW HERE! 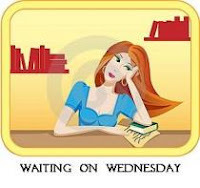 Summary from Goodreads: Having already survived six years at the Tildor’s top military academy, sixteen-year-old Renee De Winter is determined to graduate, training day and night to compete with her male classmates. When the boys overpower her parries, she works harder. When a bully sabotages her gear, she fights without it. But when an underground crime group captures her mentor for its illegal gladiatorial games, she must choose between her career and her conscience. Determined to penetrate the group’s inner circles, Renee will leap from academia to the crime filled streets, pick up a sword, and weigh law against loyalty. Why I’m Waiting: Okay, maybe this is a little selfish on my part, but I DID just help reveal the cover for this sucker. And what an awesome cover it is, too! The cover department actually asked Lidell to describe Renee’s sword in detail so they could match it. It looks SO NEAT and just what I like to read; almost a little Tamora Pierce-esque! Allow me a moment to remind you that, along with the cover reveal, there are also TWO giveaways being hosted by Lidell and Penguin/Dial books in celebration. Click HERE to enter! Are you excited yet? You really should be. Because, guys, this cover. Are you ready for this cover? Here we go! ISN’T THAT AMAZING? I want her sword like you would not believe. Go, go, click the linkies to add it to shelves on Goodreads and Amazon! Then come back, because the author and Penguin have set up TWO awesome giveaways for you! That’s right, TWO! 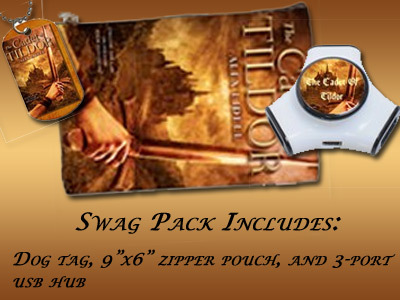 GIVEAWAY #1 – The Cadet of Tildor Swag Pack! GIVEAWAY #2 – For Teachers and Educators! This awesome giveaway has The Cadet of Tildor themed SAT vocab cards. The author actually designed these herself with some classroom games in mind, which you can read about below (clicking the link will open a SNAZZY PDF). Then click HERE to enter! The giveaways are now over!